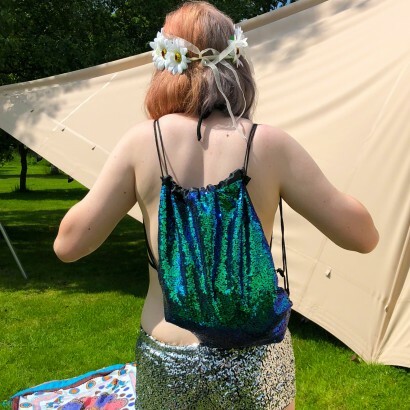 Keep your valuables on you at all times and ramp up the glamour stakes too with oodles of sparkle from this sequinned drawstring back pack! 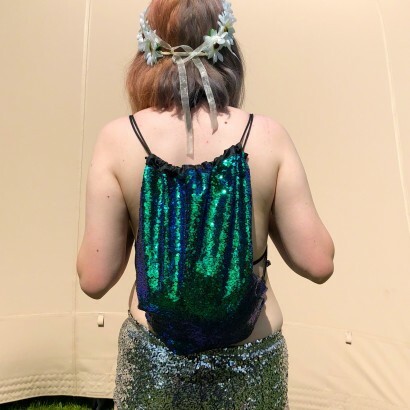 Decorated with hundreds of sequins that sparkle in shades of blue and green for a stunning iridescent effect, this back pack shimmers as you walk and dance for striking festival style! With an easy drawstring open/close, the string loops over your shoulders comfortably for sleek looks that are practical too.